Today’s video was sent to us by Pennzoil. 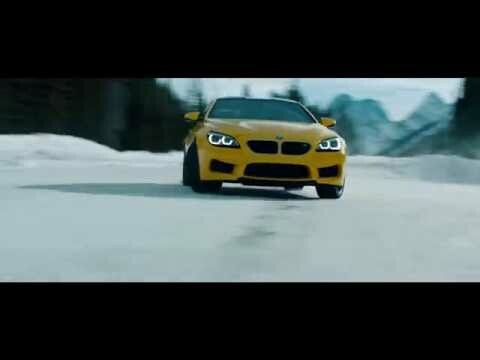 The footage shows a BMW getting skidding in the snow in what looks like was a great deal of fun to film. If you are a car guy (or gal) with a child (or a few of them) then you probably hope that your son or daughter enjoys automobiles as much as you do. The great thing about cars is that they can help bring people together whether it be driving them, looking at them or working on them. You also want your child to be a responsible member of society. Learning a bit about business is a good way to help with this. Pictured above is Jeff Maciejewski with his son Casey and they were able to combine starting a business with their love of automobiles. Thus Heritage Racing was born. The startup currently makes automotive related T-Shirts and they will soon have a vintage racing coloring book for adults (which will be out by the end of May), and an 18-month motorsports calendar, listing scheduled SCCA, FIA, F1, and WRC events (due out in August). We were able to ask Jeff some questions to get to know a bit more about the father and son team, so click the jump (or scroll down if you came directly to the full article) to learn more about Heritage Racing. It has been confirmed by BMW that the German automobile manufacture will build a BMW X3 M. The car will be a high performance SUV / crossover version of “the ultimate driving machine”. From a performance stand point, look for the X3 M to be close to the Porsche Macan. The likely power units is a turbocharged 3.0-liter Inline 6 that is found in the M4. Expect for horsepower to be north of 400 and a 0-60 mph time of around 5 seconds. Not bad for a car made to haul the kids to football practice. Our friends over at TopSpeed have been kind enough to provide us with a rendering of what the new BMW X3 M might look like. Expect to see it on the auto show circuit later this year or early next year, with it hitting showrooms in 2016 as a 2017 model. The United Sportscar Racing Series and World Endurance Championship (WEC) shared the Circuit of the Americas (COTA) track for a racing weekend. It was the championship weekend for United Sportscar Racing. The race weekend was a good one with plenty of action all around. In the championship race Porsche managed to get the manufactures championship and and Dodge took home the GTLM class driver’s and team championships. The only thing that could make it all better is watching the highlights in slow motion. Our friends over at Drive think the same way and have put together a clip of highlights from the various action of the weekend. It contains footage of Porsches, Ferraris, Vipers, Corvettes, BMWs and more. Enjoy the video and then let us know what you thought of the first season of United Sportscar Racing in the comments.